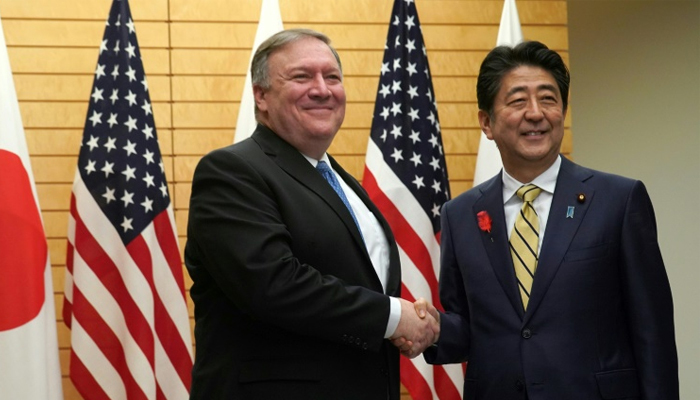 (Tokyo) – Secretary of State Mike Pompeo said he hoped to make progress on denuclearisation and a second US-North Korean summit as he kicked off an Asian trip Saturday that will feature a meeting with Kim Jong Un in Pyongyang. Pompeo arrived in Tokyo on the first leg of a tour that will take him to Pyongyang for a fourth time as the contours of a possibly historic US-North Korea deal take shape. It was important for the US and Japan to be “fully in sync” before he headed to Pyongyang, insisted Pompeo. He also promised to bring up with Kim the matter of Japanese citizens abducted by North Korea decades ago, which is a huge issue domestically in Japan. Abe called for “coordination” on this issue and also on North Korea´s nuclear threat.